(Source: FinalCall.com) – The video of Cleveland Police fatally shooting 12-year-old Tamir Rice has angered residents and activists in the city. In a country already under a global microscope sparked by events in Ferguson, Mo. and a grand jury decision to not indict police officer Darren Wilson in the shooting death of Michael Brown, Jr., 18, this latest incident of an officer involved killing of a young, Black male has Cleveland on edge. 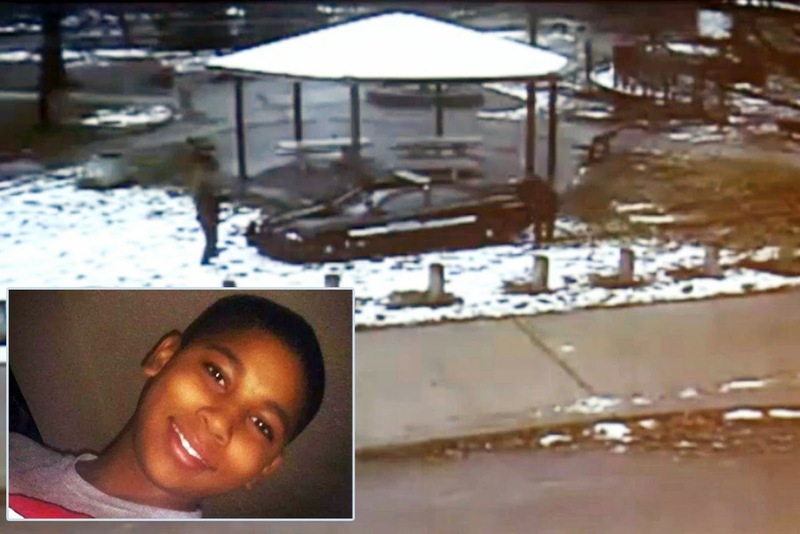 The video made public on Nov. 26 shows Tamir Rice being shot within 1 1/2 to 2 seconds of a patrol car stopping near him at a park in Cleveland Nov. 22. It shows the boy reaching in his waistband for what police discovered was a pellet gun that shoots non-lethal plastic projectiles. He died the next day. The police were responding to a 911 call from someone stating there was someone in the park with a gun. The officer that shot Tamir was identified as Timothy Loehmann, 26 who has only been on the force since March 3. His partner, Frank Garmback, 46 has been on the force since 2008. Both officers are White. Both officers are on paid administrative leave pending a decision by the Cuyahoga County prosecutorâ€™s office whether to pursue any criminal charges. The family is reportedly conducting its own investigation. A public viewing for Tamir was held Nov. 30 and his funeral is Dec. 3 at Mt. Sinai Baptist Church. â€œWe understand that some of you are hurt, angry and sad about our loss. But letâ€™s use those emotions in a way that will contribute to positive efforts and solutions that bring change to Cleveland, Northeast Ohio and cities across the nation as it relates to how law enforcement officials interact with citizens of color,â€ the statement said. Area activists said this latest tragedy further reflects problems of police departments that do not racially and ethnically reflect the communities they serve in addition to lack of proper training and proper community engagement. Up With Jesus. Down With Santa!